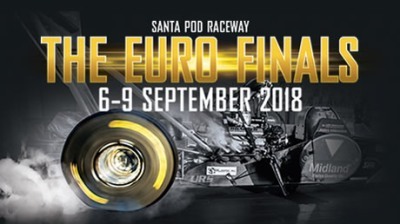 Entry lists for The Euro Finals at Santa Pod Raceway. 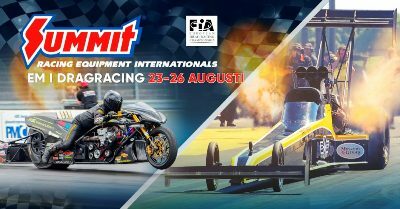 See entry lists for Summit Racing Equipment Internationals at Tierp Arena. 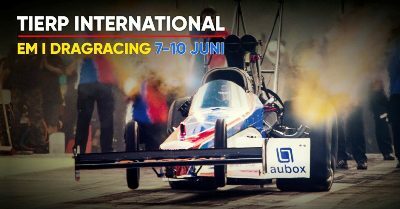 See entry lists for NitrOlympX 2018 at HockenheimRing. 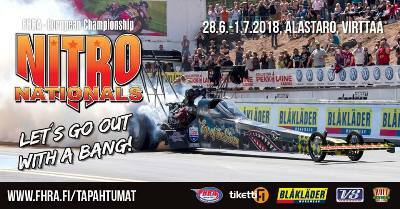 See entry lists for Nitro Nationals 2018 at Alastaro. See entry lists for Tierp Internationals 2018. See entry lists for Main Event 2018. ET: 7,565 / 276,84 km/h. ET: 6.483 s. / 352,71 km/h. ET: 6.628 s. / 328,67 km/h. ET: 5.889 s. / 393,59 km/h. ET: 6.554 s. / 337,92 km/h.